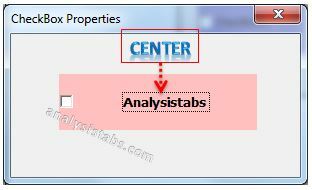 VBA TextAlign property of checkBox control is used to align text in a CheckBox control. It sets an integer value. The possible values are 1, 2 and 3. If the value is ‘1’, aligns the text in left side. If the value is ‘2’, centers the text .And finally if the value is ‘3’, aligns the text in right side. 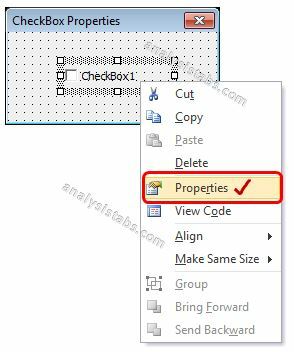 Please find the below syntax of CheckBox Text Align Property in Excel VBA. Where CheckBoxName represents the CheckBox object. In the above syntax we are using a ‘TextAlign’ property of CheckBox object to align CheckBox items. Here is the example for CheckBox Text Align Property. 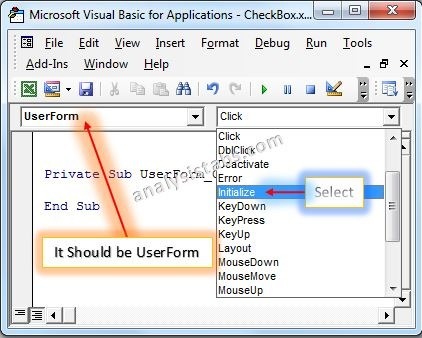 It will take you through how to align Text Align property of Check Box using Excel VBA. Here you can find or see how we are enable or disable Text Align of Check Box manually or using code. Please find the following details how we are changing manually Text Align of CheckBox property. Drag a CheckBox on the Userform from the Toolbox. Please find the below screen shot for your reference. On the left hand side find ‘TextAlign’ property from the available Check Box properties. On the right hand side you can find the list of available choices. You can choose one of the following. Please find the below screen shot for your reference. 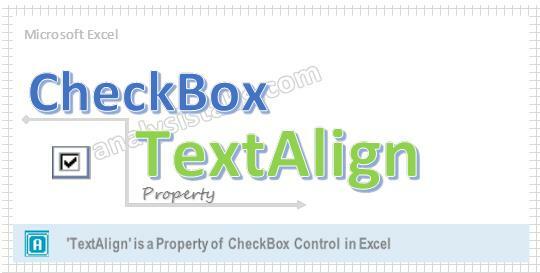 Please find the following details how we are changing Text Align of CheckBox property with using Excel VBA code. 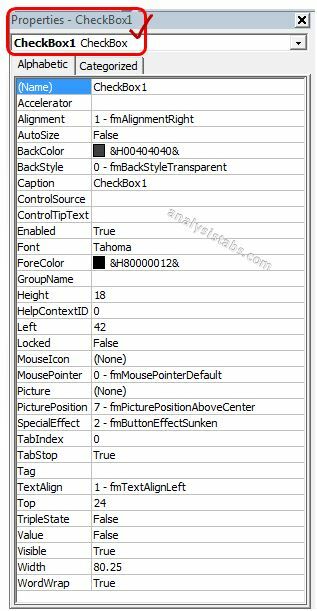 Please find the below output when we set Text Align property value is ‘1’. It is shown in the following Screen Shot. 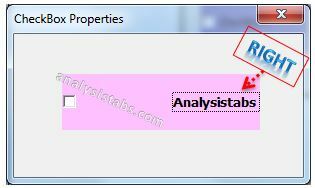 Please find the below output when we set Text Align property value is ‘2’. It is shown in the following Screen Shot. 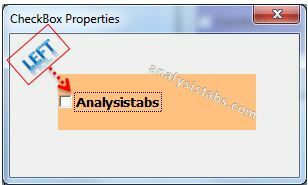 Please find the below output when we set Text Align property value is ‘3’. It is shown in the following Screen Shot.